Today’s leading-edge organizations differentiate themselves through analytics to further their competitive advantage by extracting value from all their data sources. Other companies are looking to become data-driven through the modernization of their data management deployments. These strategies do include challenges, such as the management of large growing volumes of data. Today’s digital world is already creating data at an explosive rate, and the next wave is on the horizon, driven by the emergence of IoT data sources. The physical data warehouses of the past were great for collecting data from across the enterprise for analysis, but the storage and compute resources needed to support them are not able to keep pace with the explosive growth. In addition, the manual cumbersome task of patch, update, upgrade poses risks to data due to human errors. 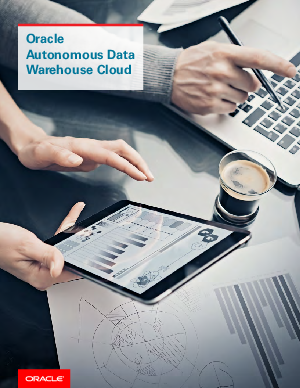 To reduce risks, costs, complexity, and time to value, many organizations are taking their data warehouses to the cloud. Whether hosted locally in a private cloud, outsourced to a public cloud service, or a mixture of the two, the cloud offers simpler management, higher scalability and availability with ensured performance, and new ways to cut the costs associated with data storage and processing.